Part of mindfulness practice is cultivating compassion for ourselves. For example, when we are meditating and we get lost in thought, our habituated reaction may be to give ourselves a hard time. This just throws us into another tangle of thoughts and emotions about past ‘failures’ and/or future hopelessness. But if we cultivate compassion for ourselves, we gently shift back to here and now. Having cultivated compassion for ourselves, we are better able to cultivate compassion for others. But it’s important to distinguish between compassion and empathy. When we encounter someone who is struggling, we may feel empathy, especially if what they are going through is similar to our own experience now or in the past. We literally feel their pain as if it is our own. Because it is painful, we may turn away as a form of self-protection. Or we may be drawn in because it is so familiar. In either case, it doesn’t help the other person, does it? And it doesn’t help us, because we either feel guilty for turning away or we feel like we’re drowning in someone else’s misery. Compassion is recognizing suffering and responding in a way that is useful. If I see an insect stuck on the inside of a screen door, compassion sparks me to open the door to let it out. If I was just feeling empathy, I might stand there and say ‘Oh, you poor little bug! Look how you struggle. Me too! Boo hoo!’ And if I had no empathy and no compassion, I’d grab the fly swatter, seeing the bug as a potential danger or at least an annoyance, threatening my own happiness and peace of mind. Compassion respects all life. It isn’t limited to beings we find ‘relatable’, whose experience mirrors our own. Compassion recognizes suffering but expands to hold it in an open and loving way rather than succumbing to it. Compassion is action. When we see someone in distress and we help them in whatever way is skillful, that is compassion. Many instances of compassion we might recognize as simply being human, being neighborly or ‘doing the right thing’. Compassion comes naturally to most of us, at least in certain situations. I am sure you have performed many acts of compassion this week. Maybe you let a car merge in front of you. Maybe in the grocery store you helped someone get something off a high shelf beyond their reach. Maybe you gave a respectful nod to someone sitting on the sidewalk. Maybe you saw or heard about a community in distress from flooding or earthquake or other disaster, and you sent a donation. Compassion is action, but it comes in all shapes and sizes: From a nod of respect to giving a majority of your waking hours to a cause you care about or a person in need. As citizens in a democracy, we cultivate compassion when we vote and make our voices heard for the benefit of our community, our nation, all beings and the earth itself. Compassion doesn’t register within us as an identity — “I am a compassionate person” — trying to be seen as a hero, taking credit for actions, or being concerned about how we are perceived by others. Shoring up a personal identity just knocks us into seeing ourselves as separate, rather than a part of the celebration of the oneness of all being that sparks true compassion, life loving and taking care of itself. There are many among us whose whole lives are devoted to compassionate action. And for them especially it is important to discern between compassion and empathy. 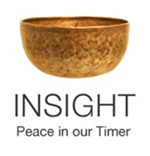 Over the years I have had a number of insight meditation students who are psychologists, counselors and therapists. Some have complained about the weight of carrying their patient/clients problems into their own lives after the appointment is over. I suggest, for the benefit of their clients and for themselves, that they think of the client’s sharing as being laid out in the space between them for both to examine in a spacious way. Trying this out, my students found that they could bring all their practice and wisdom to the challenge without taking it on as their own. For their clients it helped to see their sharing as a story passing through their experience rather than an aspect of their identity. It makes sense that people who choose professions in the field of psychology are empathetic and want to be of help to those that suffer. But the empathy can become a source of misery. It’s important to acknowledge that this misery is not just experienced by the empathetic person. When when you share your grief and your friend cries, you are unlikely to feel you can share freely. It is painful to cause suffering in another. Sharing our suffering with a person who has cultivated compassion feels safer. They receive it with loving-kindness, respect and full attention, but they don’t make it their own. An experiment conducted by neuroscientists Tania Singer and Olga Klimecki comparing empathy and compassion showed that empathy training activated motion in different parts of the brain than compassion training. The outcome was that the empathy-trained group found empathy ‘uncomfortable and troublesome’ while the compassion group felt kinder and more eager to help others. This makes sense. Taking on the suffering of others as if it is our own is not very comfortable, is it? Being so empathetic we become drained when we spend time around others, because we are taking on their suffering. We may need to get away just to allow ourselves to reconnect with our own experience. While I encourage everyone to take time for themselves, having to be alone a lot can certainly be challenging in maintaining satisfying relationships. If this is your experience, you might notice whether being overly empathetic is at play, and whether cultivating active compassion might help to channel it more skillfully. But whether we lack empathy or are inundated in it, how do we cultivate compassion? Again, cultivating compassion begins with ourselves: compassion for our own suffering and grief, but also for our ignorance, blundering and foolishness. We do this, in part, to soften the rigid pattern of harsh self-judgment and the resulting suffering that becomes toxic and contagious. This doesn’t mean we ‘let ourselves off the hook’ when we have done something unskillful. A part of our mindfulness practice is cultivating ethical behavior, speech and livelihood (See Noble Eightfold Path). But if we enforce our behavior with cruel words or punitive actions, then we are compounding our unethical behavior. Instead we do what we can to right any wrong, make amends, apologize, and investigate what went wrong in order to learn from our experience and not repeat the unskillful behavior. But this is only possible if we also actively cultivate compassion, because without compassion we beat ourselves up or avoid dealing with it through all manner of addictive and distracting behaviors. For most of us it is easy to feel compassion for someone in a temporarily difficult situation that we can relate to. We tend to have a harder time cultivating compassion for someone who seems to have made poor life choices and is now living with the consequences. It helps to recognize that our harsh judgments function as a bypass to avoid feeling other people’s pain or recognizing our own poor choices in life. Perhaps our poor choices did not have substantial adverse effects on our lives. Do we take that good fortune as a credit to ourselves? None of us is perfect. And none of us is immune to suffering, no matter how fortunate. Compassion does not command us to be saviors. It offers us the opportunity to live fully in the joy of being alive, and to recognize all life as deserving of respect and kindness, and a little help from a fellow being now and then. This entry was posted in compassion, Four Brahmaviharas, mindfulness, Uncategorized, Wise Action and tagged compassion, empathy on September 3, 2017 by Stephanie Noble. Through the regular practice of meditation — insight, vipassana or mindfulness — we cultivate the ability to stay present with whatever is going on in our experience. It is not an escape from the difficulties of daily life. It is practice in skillfully relating to whatever arises in our experience with more compassion, spaciousness, awareness and kindness. Next week I will be sharing effective concentration practices to cultivate mindfulness. But for now, let’s look at what mindfulness is, and what it is not. Mindfulness is being in the moment, noticing what is present, using all our senses. It’s also noticing any desire for things to be different or to get more of whatever we are experiencing. When thoughts and emotions rustle through, as they will, we notice them without getting lost in them. If we discover we have been lost in thought, we gently return our attention to the breath. With mindfulness when we notice a recurring pattern of thought, we can pose a question — Is this true? for example — and then be fully present for the answer when it comes. Mindfulness is not viewing things from a lofty remote location as an observer, separate from life. It is instead continuously cultivating boundless awareness, holding all that arises in our experience with great compassion, being fully present in this body-mind, grateful for the opportunity to be alive in this form. With mindfulness we don’t make anything ‘other’ or ‘enemy’ So we are not pushing away, blaming or punishing any aspect of self, or making anyone person or situation a scapegoat for the challenges we are facing in this moment. What presents itself as either/or can be investigated more closely to reveal it’s both/and nature. With mindfulness we open again and again to these kinds of possibilities. We discover the most skillful way to deal with antagonism is to engulf it in the power of infinite loving-kindness. When we slip into the pattern of other-making, we feel stuck in the sludge of fear that drags us down and causes us to be blind to the true nature of life. We see how in every moment we are given the option to make skillful choices, by staying present, anchoring our awareness in physical sensation. We are powerful beyond measure when we are living mindfully. We can be responsive rather than reactive. We can dance with all that arises rather than let it keep us on the sidelines or engaged in a battle. We see that every moment is a pivotal point of power, where we can act on our truest intention with wise effort, or we can go mindless and fall into habitual behavior, driven by fear. Mindfulness is not something we have to struggle for or chase after. It arises of its own accord through dedicated meditation practice that is rooted in wise intention and wise effort. As we cultivate mindfulness in our sitting practice and in our daily lives, we feel some release of fear-based tension. Or at least we notice the presence of tension, which is an excellent place to start. With mindfulness life doesn’t get ‘perfect’. But difficulties become more permeable, and we see bridges and networks revealed where we thought there were only walls. With mindfulness thoughts have enough space to not be constantly in conflict. And there’s room for the ‘I don’t know’ mind to hold all life with reverence and awe. With mindfulness we can appreciate this gift of life, in whatever form it has taken, through whatever experiences we find ourselves in. The comparing mind is seen as just a fear-based pattern that softens and dissolves as we continue to practice. Mindfulness also softens and releases the ‘if only’ mindset that had us trapped in the belief that causes and conditions are the source of our happiness, when in fact joy arises simply out of being present, aware and compassionate with ourselves and all beings. Mindfulness is quite a life-enriching benefit to come out of spending minutes a day in meditation practice! It costs nothing. And the list of health benefits is long and scientifically proven. As you practice, let go of expectations, but note growing awareness, growing compassion and growing sense of aliveness. This entry was posted in benefits of meditation, Eightfold Path, mindfulness, Right Mindfulness, Wise Mindfulness on January 22, 2017 by Stephanie Noble. Where Do You Go Mindless? Have you ever realized when you arrived somewhere that you don’t remember anything about the ride? Have you ever finished a meal and realized you didn’t taste a single bite? Have you ever blurted out something you wish you could take back? We all have times when we go mindless and function as if we’re on automatic pilot. As we develop mindfulness through the regular practice of meditation, we begin to see where this happens in our lives and why. You know how when things go into slow motion actions reveal themselves that you totally missed at normal speed? It’s the same with meditation, especially on a silent retreat when you have no where else to be and nothing else to do but meditate and practice being mindful. In that slow motion state, thoughts are still there but they dance in a more spacious field of awareness. We can see the dance steps, how one thought leads to another by process of association. We become present enough to see how thoughts arise, one dependent on another. And if we can see what thought stream kicks us into mindlessness, we can look more closely to see where we are falling into habituated patterns that don’t serve us and where we might be avoiding something that makes us uncomfortable. Some people are terrified of the idea of meditating for that very reason. They don’t WANT to be mindful, because it might reveal something they have very forcefully kept stuffed down. Instead of giving themselves quiet time alone, they fill their lives with as much noise and busyness as they possibly can to stifle whatever it is in there that seems so threatening. But developing awareness awakens compassion. Meditation is not some boot camp with a tough drill sergeant bent on making us suffer. Just the opposite! It’s a homecoming! A liberation! A savoring of this gift of being alive in this moment. The thing we thought was scary or shameful is not lying in wait to harm us. Instead it is waiting for us to soften the tight chains that bind it to us, and through compassionate dialog to release it and allow the process to teach us. So, tell me, where do you go mindless? This entry was posted in automatic pilot, habitual patterns, http://schemas.google.com/blogger/2008/kind#post, mindfulness, mindless, retreat on February 28, 2015 by Stephanie Noble.